5654 leads mined and counting. 2018 brings Captr, a revolutionary digital marketing solution created specifically for the Real Estate Industry. Our industry has lacked innovative solutions when it comes to digital marketing. With our newest product "Lead Mining" , we generate leads directly to you for fixed price – we take no commission. During our case studies, we have found numerous ways to best maximise your return on investment. With most digital marketing agencies that target Real Estate, they make it extremely difficult, almost impossible to track your return on investment. check out what some of our clients are saying about Captr. Thanks Steve for all your help and support with our new campaign strategy. Totally amazed with the results after one month. We could not have done this by ourselves. Definitely a worthwhile investment. For a technophobe like me, Steve's digital marketing is just brilliant! Steve is so receptive to our input and patiently explains the process so that I can really appreciate the full concept. We are continually tweaking and improving so excited to see the results in the future. Thanks Steve for everything! Brilliant service and knowledge. Market leading product. Early results have been sensational! Been working with these guys for 1 week and already seeing results.... worth it!!! We currently offer a number of services. We do the hard work. We mine the web using digital marketing to generate leads directly from soon to be vendors. This works parallel and compliments your physical based marketing & advertising. We offer your vendors/landlords advertising packages to help sell/lease their properties using the same Lead Mining techniques, and again, we do all the work. We mine the web using digital marketing to generate leads directly from soon to be landlords. This works parallel and compliments your physical based marketing & advertising. We offer your vendors/landlords advertising packages to help sell/lease their commercial properties using the same Lead Mining techniques, and again, we do all the work. Below are real time numbers, based on the leads that we have mined for our client base. 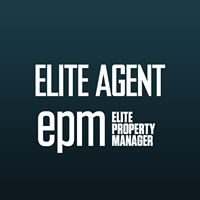 See an article written about Captr by elite agent magazine below. We only work with one agency per area! Search your suburb below and see if it's claimed. To sign up or just want to learn more about our services, please fill out the below form, and we will be in contact.